Valentine’s Day is right around the corner, which means that if you have a special someone, it’s important to circle February 14th on the calendar now. Americans spent over $19 billion on Valentine’s Day last year, with just over $500 being spent per-person, on average. Yet, February 14th doesn’t have to be a big ticket day. If you read this blog and plan ahead this week, you can make Valentine’s Day extra special with thought and consideration for your partner. Your day doesn’t need to revolve around chocolates and flowers; instead, focus on the reason behind such a day – love and care for those you spend time with and admire. Here are 7 ways you can make Valentine’s Day extra special for the partner in your life. If you’re reading this, it’s not too late – despite what Drake says. If you’re searching for reservations and your favorite restaurants are all booked up, don’t fret. There are plenty of other date ideas that are sure to do the trick! Order take-out from a fancy restaurant and re-create your own dinner experience at home. Buy a great bottle of wine that you would typically save for a special occasion. Or, consider searching for a restaurant just a tad out of town – away from the hustle and bustle – that can fit in a table for two for dinner. Whatever the case, start planning now – and not the day prior. Place special focus on your partner. When creating a Valentine’s Day date, consider what your partner likes. If he or she doesn’t love the idea of fancy, don’t go fancy! If he or she is a vegetarian, don’t visit a steakhouse! You get the point. This goes for you, guys – if your partner loves Valentine’s Day, but you don’t, be sure to throw on a smile for the day and take her out for the evening. Dress up. Make the effort. Place special focus on your partner. Stray from the ‘typical’ dates. So, a steakhouse doesn’t tickle your fancy? No problem. What about creating a scavenger hunt or adventure for your date? Or, perhaps you could consider going camping for the weekend. There is something to be said about going out of town and skipping the traffic. Consider what you and your partner enjoy, and stray from the “typical” dates. Gifts don’t need to break the bank. While jewelry and flowers are always nice, they can also run the risk of being ordinary in nature – and they always break the bank. Consider an alternative. Hand-picked flowers, a thoughtful letter, a hand-made card, or perhaps even a donation to their favorite non-profit charity on their behalf. You don’t need to break the bank on February 14th. Consider the entire duration of the day to be Valentine’s Day. After all, it is a “Day”, isn’t it? Instead of only focusing on the evening’s activities, make the entire day Valentine’s Day. By that, we mean that you should consider waking her up with a beautiful surprise, or something that just starts their morning off right. How about placing that handwritten note on your counter before she leaves for work in the morning? Or, deliver roses to her in the office. Perhaps you could even take the day off and go to the spa or on an adventurous hike. Whatever the case, make Valentine’s Day last from dawn to dusk. If it’s a first date, don’t be nervous. Yes, there are first dates on Valentine’s Day! And if this is you, don’t make your stomach turn into knots. Do not focus on the pressure of the day itself. After all, a first date should be light and enjoyable regardless of the day. Try not to get sucked into the ordinary, and instead enjoy your prospective partner’s company. Why not poke some fun at it, too? Build on your partner’s quirks. 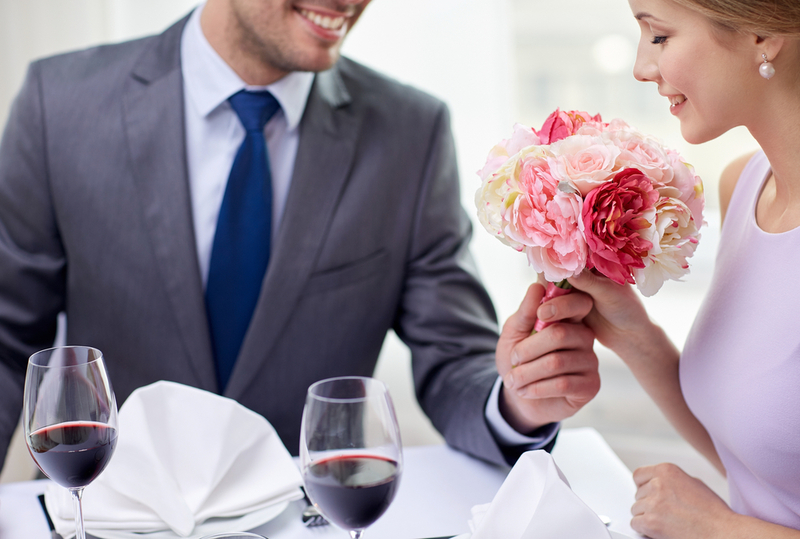 If your partner loves Valentine’s Day, by all means – go out for that 8-course meal, and indulge in the bread and wine. Yet, if your partner has quirks or wants to have fun with the day, why not embrace it? For example, have dinner in reverse. Start with dessert, head out for an entree, and finish with an appetizer. Or, maybe you head to the casino and grab beverages at a craft brewery after. Build on your partner’s unique assets and enjoy. With Valentine’s Day right around the corner, the time to plan is now. Regardless of the event or the gift, the most important part of this puzzle is to select something based on what your partner likes and enjoys doing. Nice Candles, bath bombs, etc. Indulge a little! The Essentials, like grooming supplies, briefs, sweatpants, etc. Find a good recipe and cook together at home. Stay at a hotel and enjoy your company! Whatever you and your partner decide, we hope that this Valentine’s Day will be one to remember. From all of us at ROVR, cheers to finding love!